Meghan Markle delivered a passionate speech about the importance of female education during her trip to Fiji. 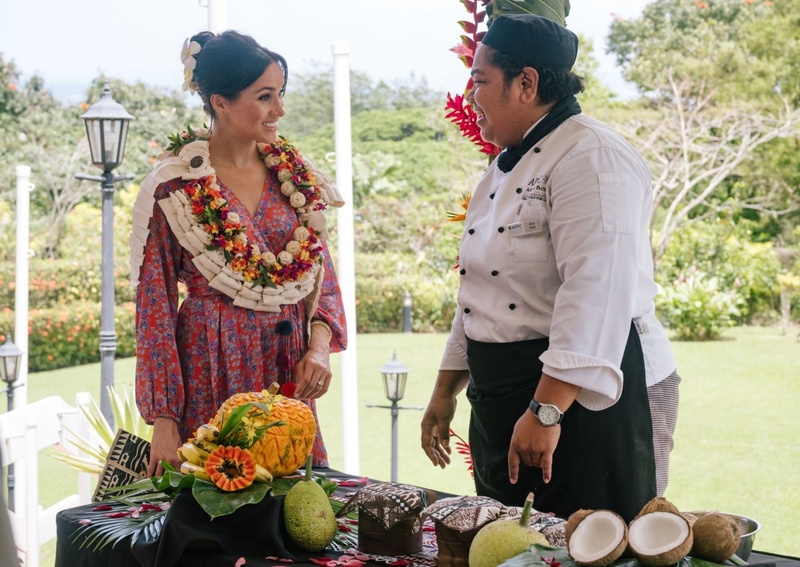 The 37-year-old duchess of Sussex discussed the issue during her visit Wednesday to University of the South Pacific with her husband, Prince Harry, duke of Sussex. Kensington Palace shared a video of Markle's address on its official Twitter account. Markle announced two new grants will be given to University of South Pacific and Fiji National University to run workshops aimed at empowering female staff. "Everyone should be afforded the opportunity to receive the eduction they want, but more importantly, the education they have the right to receive. And for women and girls in developing countries, this is vital," the duchess said. "When girls are given the right tools to succeed, they can create incredible futures, not only for themselves but for all of those around them," she added. Kensington Palace also posted a photo of Markle and Harry with Elisha Azeemah Bano, a amember of the Queen's Young Leaders who founded the Act It Network. "At @UniSouthPacific, The Duke and Duchess caught up with Elisha Azeemah Bano," the palace wrote. 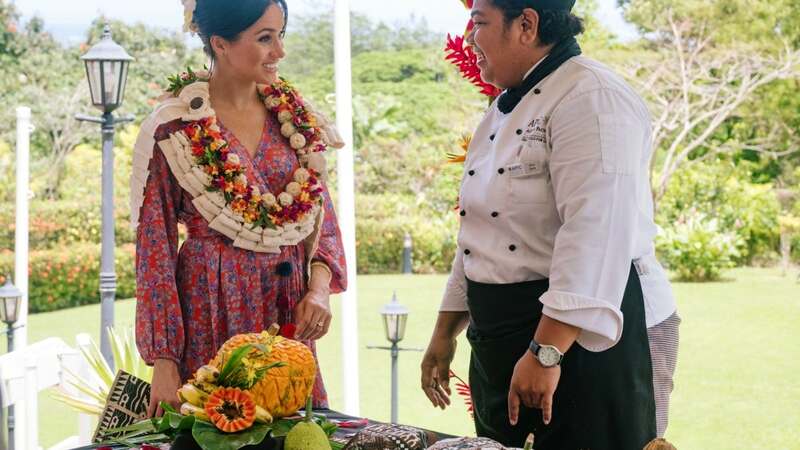 Markle and Harry's day also included a visit to the National War Memorial, Colo-i-Suva National Park and the High Commissioner's Residence. The couple are visiting Fiji, Australia, the Kingdom of Tonga and New Zealand for their fall tour. Kensington Palace announced this month Markle is pregnant with her first child. Markle and Harry married at St. George's Chapel at Windsor Castle in May.